Parents who divorce are faced with many decisions about how their children will be cared for post-separation. Divorce attorneys and divorce mediators have different approaches when helping clients formulate custodial care plans. (2) Winning that custody for the client through strategic legal maneuvering and traditional bargaining tactics. (2) Assigning “legal labels” (e.g. primary custody, shared custody) to the the parenting arrangements only after the custody decisions are determined. (5) a sense of rootedness (home, school, community). WHY CHOOSE A DIVORCE MEDIATOR? Child Centered. Divorce Mediation is child-centered and consists, primarily, of neutral facilitation of parents’ discussions and creative problem solving. No Games. There are no games or intimidation tactics that are usually employed by divorce lawyers. Confidential. Everything in mediation is confidential. This allows parents, without the concern of “blowing their legal strategy”, to speak freely and honestly. Everything on the table. Mediation encourages comprehensive conversations about their child and how best to parent him or her in the unsurprisingly complex two-home structure necessitated by divorce. Cooperation. Mediators are skilled at nurturing cooperation between parents. Perspective. In mediation, parents are usually able to see disputed custody issues from various perspectives. Usually, both parents have good ideas to share. Information & Knowledge. Experienced mediators have practical information and empirical knowledge to help clients make decisions on behalf of their child that both parents are comfortable with. Abuse. Where there is a history of child abuse (physical or sexual) or domestic violence, parties are usually better off having the protection of the Courts and a divorce lawyer right from the start. Not living in reality. Parents who are mentally ill or have a personality disorder such that they cannot distinguish reality from fantasy are not good candidates for mediation. They need a divorce lawyer to advocate on their behalf. Punishment. Parents who are adamant that they want their child’s other parent punished – and believe that the Courts will do that for them (which they almost always do not do) – need to hire a lawyer. Mediation is not punishment-oriented. Need to win. Some parties need to win. Cooperation and mutually agreeable decision-making is not for everyone. Parties who believe they are dead “right” with regard to what is best for their child in every way, and that the other parent is “wrong” on those matters, need to hire a divorce attorney. Most mediators don’t think in terms of “winning” when it comes to children. 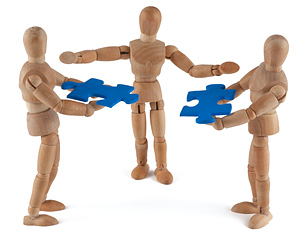 There are as many styles of mediation as there are mediators. If you choose mediation as your method of determining the parenting arrangements for your child post separation/divorce, make sure you are comfortable with the mediator’s approach and style. Talk with him or her a while before committing to your first mediation session. Ask questions. A good mediator will be happy to ensure that both parents are comfortable with the process and that the personalities make a good fit before setting the first session date. You are currently browsing the Fairfax VA Divorce Mediator blog archives for May, 2015.